Two buildings. Currently used as a rooming house - apx 135 beds. Mix of apartments and shared rooms. 2BR owner/mgr apt. Maintained buildings with newer boilers. Resurfaced silicone roof 545. 3 stage electric in 527. Full service commercial kitchen. Complete Full Coverage Security cameras. Bldgs master keyed. Numerous pkg spaces. Lg warehouse/garage shop area.Lots 17/18 adjacent to the west of this property are also for sale - in MLS. Lots to the East between this property and Gambell may be for sale by that owner (he says so). The whole block is potentially available. 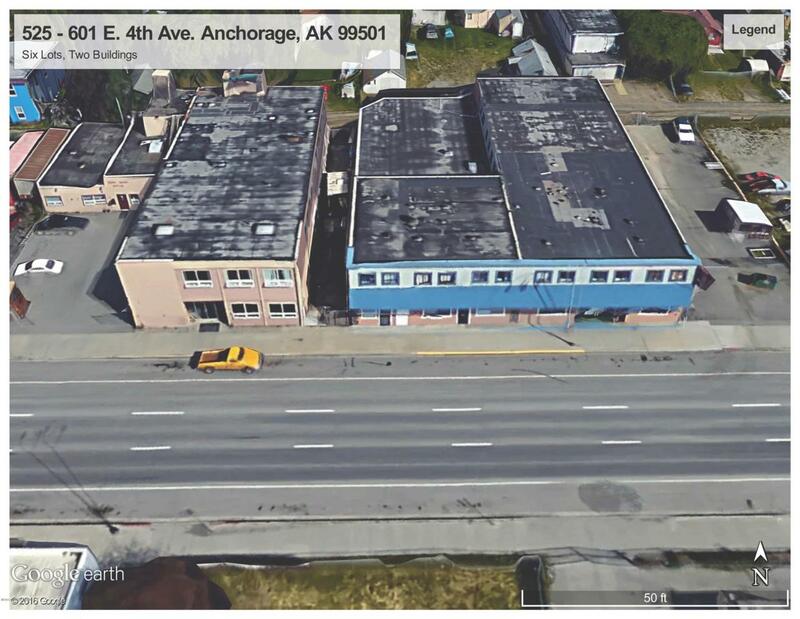 Potential uses include rehab facility, assisted living, hotel or combination, office/warehouse. Previous uses were office/warehouse and hotel. All FF&Es are negotiable. Owner is retiring and ready to sell.